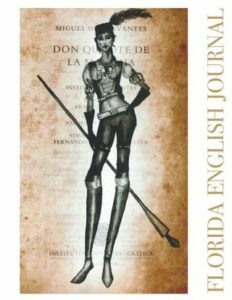 Florida English Journal is seeking art submissions for its 54th volume, due to come out in Spring 2019. FEJ would like to showcase the work of one to five artists. While this is a journal dedicated to writing and education, art submissions need not be literary. We are asking for artists to submit two to ten high-resolution digital images of their art work for consideration. The call for submissions will end January 30, 2019. Florida English Journal is a publication of the Florida Council of Teachers of English. We offer publishing opportunities for Florida’s English teachers and students, FCTE members, academics, creative writers, and artists. (Academics, creative writers, and artists do not have to be from Florida). We are dedicated to producing a thought-provoking journal that showcases Florida’s educational community and provides meaningful content to our FCTE colleagues. The journal is housed at Chipola College in Marianna, FL. To view the 2018 issue, featuring artist Maddie Craven click here.